The global gaucher disease treatment market is estimated to grow at a CAGR of 2.8% between 2018 to 2025. Gaucher disease is one of the most common liposomal storage disorders which is caused due to the not having enough glucocerebrosidase that is an important enzyme which breaks down the fatty chemicals namely glucocerebroside, that builds up Gaucher cells in the spleen, liver, and bone marrow. It is one the rare disease that is majorly found in the population from Ashkenazi Jewish. This disease is majorly characterized by the symptoms like enlarged spleen or liver, fatigue, anemia, bone pain & fractures, easy brushing and bleeding. There are various types of Gaucher disease namely Type I, Type II, and Type III. Type I is the most common type of Gaucher disease, which does not affect the nervous system of the individual. This disease, affects about 1 out of 850 people in the Ashkenazi Jewish population, while 1 out 40,000 for non-Ashkenazi Jewish. The Gaucher disease treatment market is primarily driven by the increasing number of drug approvals by the U.S. FDA which promotes the new approach for developing new drugs by the key leaders operating in the market. Additionally, the collaboration between various biopharmaceutical and research centers to also boost the market growth in the coming years. Furthermore, the government initiatives to promote the awareness about Gaucher disease. For instance, the European Gaucher Alliance recently launched a Gaucher Awareness day aiming at creating awareness about this disease in the population. However, the higher number of ongoing researches across the globe would limit the growth of the Gaucher Disease market. The global Gaucher disease treatment market is segmented on the basis of disease type, and treatment type, and geography. On the basis of disease type, the Gaucher disease treatment market is segmented as type I, type II, and type III. The type I Gaucher disease is observed to be the dominating market segment in the market, owning to the increasing number of people suffering from type I disease across the globe. According to Erad Therapeutics Inc., approximately 7,000 people are suffering from Type I Gaucher disease out to 8,000 people that suffer from Gaucher disease in the U.S. driving this segments market during the forecast period. 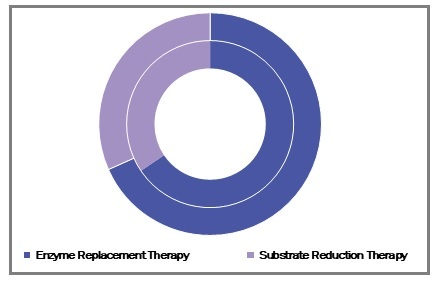 Based on treatment type, the Gaucher disease treatment market is segmented as Enzyme Replacement Therapy (ERT), and Substrate Reduction Treatment (SBT). The enzyme replacement therapy to be the dominating segment in the market. 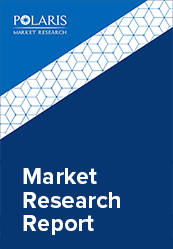 This treatment market is primarily driven by its increased adoption across the globe for treating Gaucher disease, and higher awareness for using ERT. Additionally, the higher number of FDA approved drugs in the ERT to also add on the growth of this segment. By geography, the global gaucher disease treatment market is segmented into five major regions, North America, Europe, Asia Pacific, Latin America, and Middle East & Africa. North America, to hold the largest market share in the Gaucher disease treatment market owning to the growing number of people suffering from this disease, unmeet clinical needs, and rising awareness for the use of effective treatment option in the coming years. Additionally, Israel to be a noticeable market during the forecast period owning to the fastest increase in the number of people suffering from this disease. Some of the major key players operating in global gaucher disease treatment market are Sonafi (Genzyme Corporation), Pfizer Inc., Acetelion Pharmaceutical (J&J Ltd.), Shire Human Genetics Therapies, Inc., Erad Therapeutic Inc., and JCR Pharmaceuticals Co Ltd.